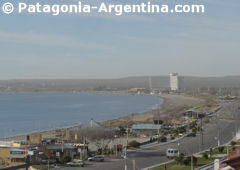 Where to stay in Puerto Madryn? What to eat in Puerto Madryn? 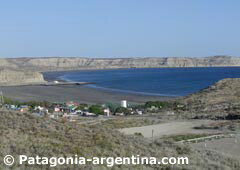 What to buy in Puerto Madryn? 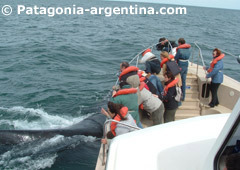 Whale watching season in Argentine Patagonia extends from May to December. The best chances of success are during September and October. You cannot miss this wonderful show that is renewed and happens every year. 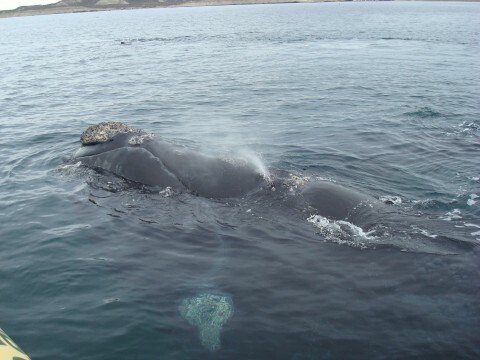 Come to Puerto Madryn, get aboard and be moved to tears sharing the deep blue sea with these giants. 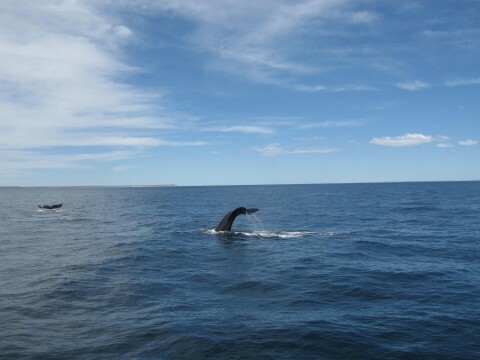 The whale watching departs from Pirámides Port. There are six companies authorized in the Province for this activity. They take the necessary care not to produce environmental impact and not to alter the whales’ behavior. 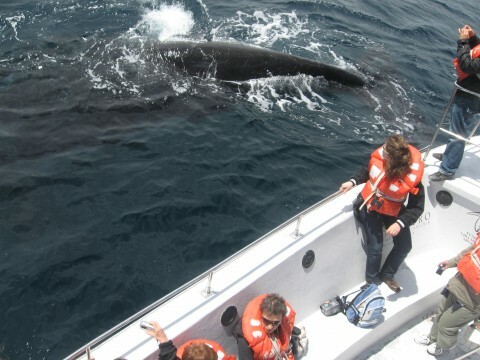 The whale watching trip starts going along the coast in both directions and then getting one or two miles into the sea, to get in touch with the Southern Right Whales. 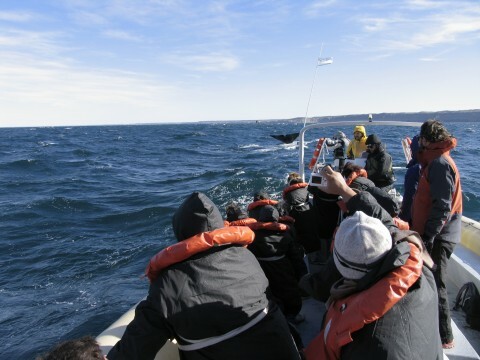 The first stop is generally at La Lobería (sea lion colony), which is perpendicular to Puerto Pirámides and has got 2000 specimens of whales. The sailing along the coast allows one to also watch many cormorant colonies. They build their nests against the cliff and there they also breed and raise their babies. You can also observe other specimens of the coastal bird fauna. Then the ship gets far from the coast, the engine is stopped and for a moment there is plain silence interrupted only by the sounds of penguins, seagulls, gulls and cormorants. It’s the moment of waiting… somebody watches a group of birds at the distance. The ship gets closer and suddenly, when the whole group is attentive, something silvery and white jumps next to the ship, and the strong sound of a body splashing the sea is heard. It’s all excitement then. Everybody shouts, speaks in different languages, the children cries blend… And to complete this feast some dolphins always show up to jump and play in complete freedom along the Whales. 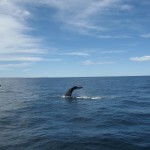 For those seeking further info, here is a good English site about Whale Watching in Argentina.